Calling all shopaholics! Get your first shopping fix of the year at Festival Mall's All-Out Shopaholic Sale! Enjoy three weekends of huge discounts (of up to 70%)! 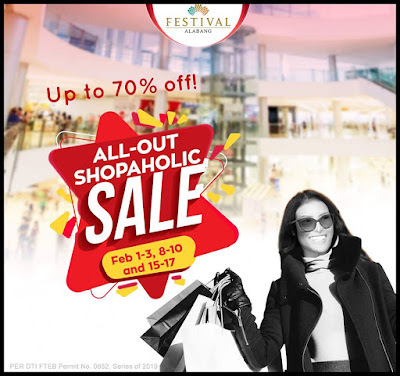 Shop to your heart's desire at Festival Mall on February 1-3, 8-10, and February 15-17, 2019.